- Measures: Width: 230 cm Depth: 056 cm Height: 205 cm Weight: 1200 Kg - 2 year Guarantee! - Free Shipping! 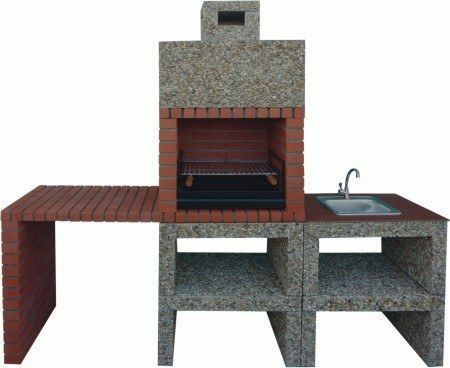 Modern Barbecue with Sink AV820F. Free shipping to England, metropolitan France*, Monaco, Belgium, Luxembourg, Italy and Spain. For other destinations please contact us. Add the paprika and curry powder to a shallow dish and mix. Roll the cheese ball in the spices until fully covered and place in the fridge between 2-4 °C until ready to serve.